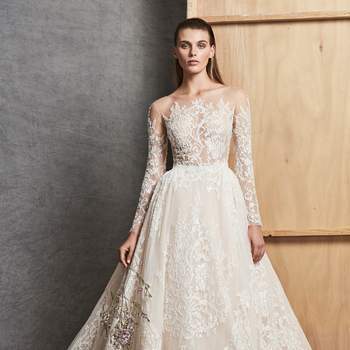 The new collections from all the big bridal fashion houses have well and truly landed, so if you have set your date to get married next year you’re in luck because we are giving you some fabulous inspiration in the form of this gallery of the best princess cut wedding dresses for 2019. 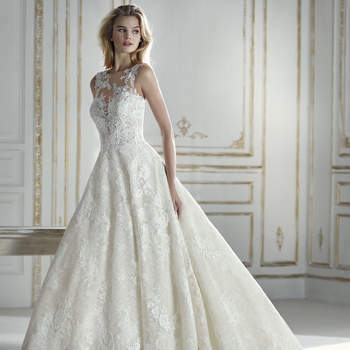 You’ll be amazed with the sheer variety of designs and styles with this classic silhouette! 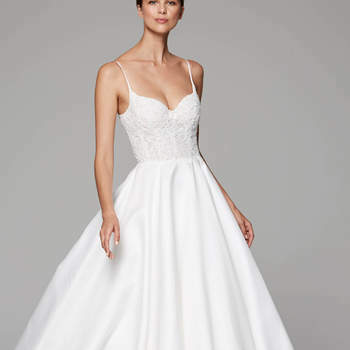 This wedding dress silhouette is one of the all time favorites for brides to celebrate their big day in. 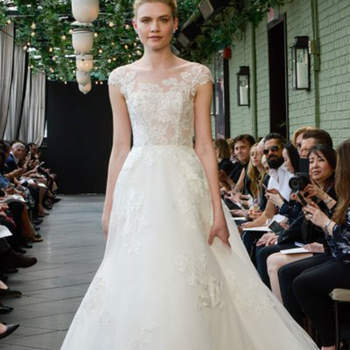 Princess cut designs are characterised by being tight at the waist with a voluminous skirt that adds glamour and a regal touch to your fairytale day. 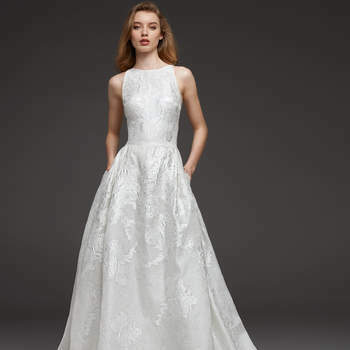 The types of neckline in our selection of dresses are immense, think anything from wedding dresses with a sensual V neck to sweetheart necklines. 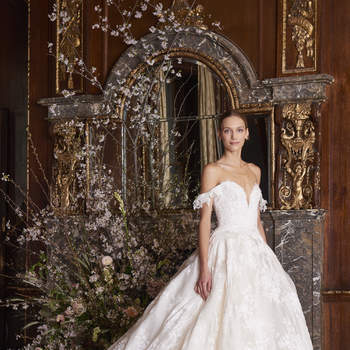 Equally the luxe fabrics are pretty breathtaking, among the most used in the 2019 collections we’ve spotted taffetas, fine tulle, crepe and brocades. 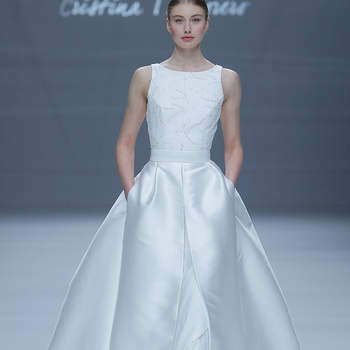 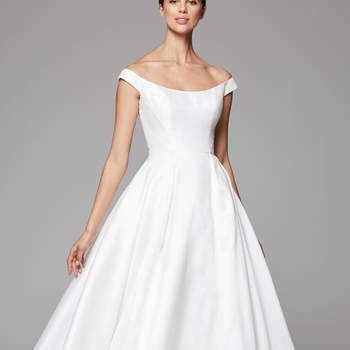 Princess wedding dresses are perfect for women who have wider shoulders than hips as the voluminous skirt balances the look. 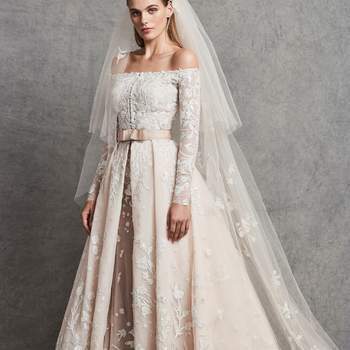 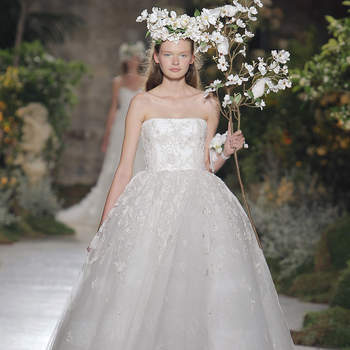 Bear in mind they are not usually recommended for particularly petite brides, as the dimension of the full skirt can overwhelm a tiny frame and make you look even smaller, in which case it’s best to go for narrow A-line dresses to elongate your figure. 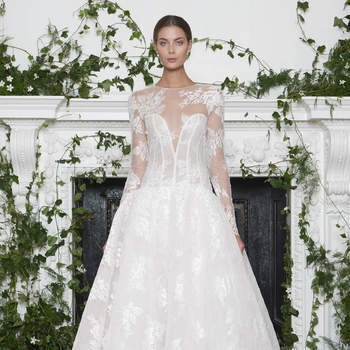 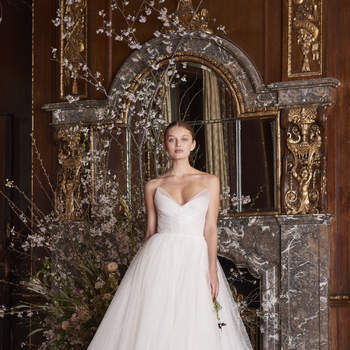 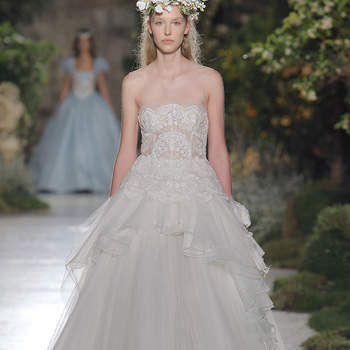 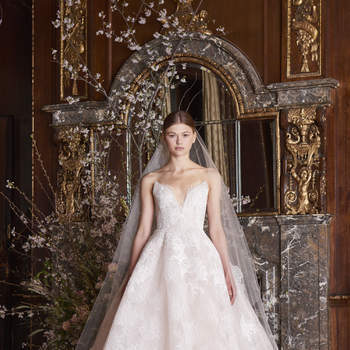 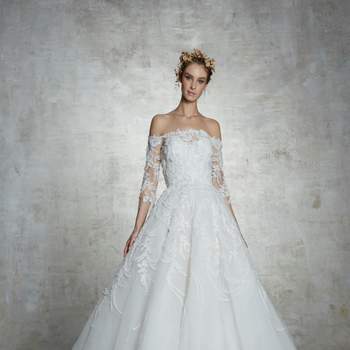 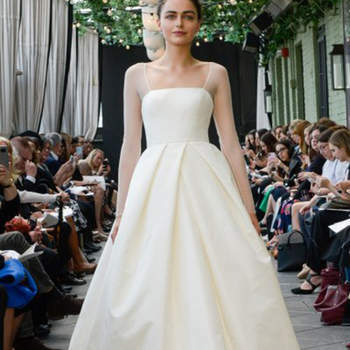 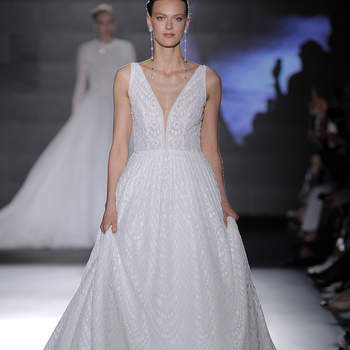 Take inspiration from these stunning princess cut dresses for 2019. 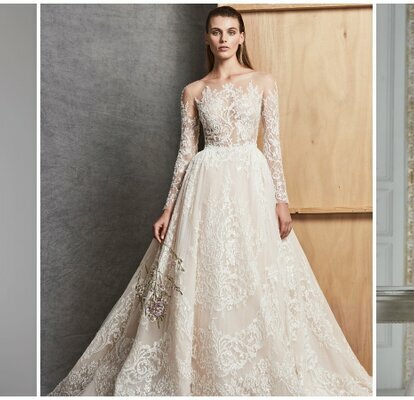 We’ve put together this gallery of extraordinary designs you will not want to miss! 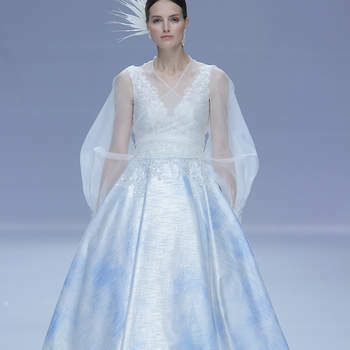 Credits: Rembo Styling by Marylise.